What do you get when you mix one part First person puzzler and one part total mind F**k? You get Transference! A game that bends the user’s perception of reality by bouncing between 2 worlds created from the memories of the Hayes family, though each of these worlds is broken in their own way. It’s on you to fill in gaps created by the lost or corrupted data and learn all about what Transference is all about and what has happened to the Haye’s family. Meet Dr. Hayes…he’s about to take you on a journey! This is DS4 affair, which is a little unfortunate, though by no means any real issue. Everything plays like a traditional First-Person title with all the comfort options you need (or don’t!) to maximize your immersion, though walking is at an intentionally slow pace, and can’t be changed. You can grab items (1 at a time) and place them in their needed spots or just have a look at them while listening to a triggered memory. The game is built around puzzles which involve hopping between 2 worlds and finding a necessary item or solving a puzzle on one side to open up the next area in the other. To hop between worlds, you need to find a light switch and activate it, thereby changing your scenery. The puzzles are more environmental based then hands on so pay attention to your surroundings at what the game is telling you. It’s a linear tale so you know if a new room opened up, the key to progress is somewhere in there. Scattered throughout the game are recording devices that will trigger video logs and while some you will find just by playing through the story, others are hidden so keep an eye out as each one unlocks a little piece to the overall story. 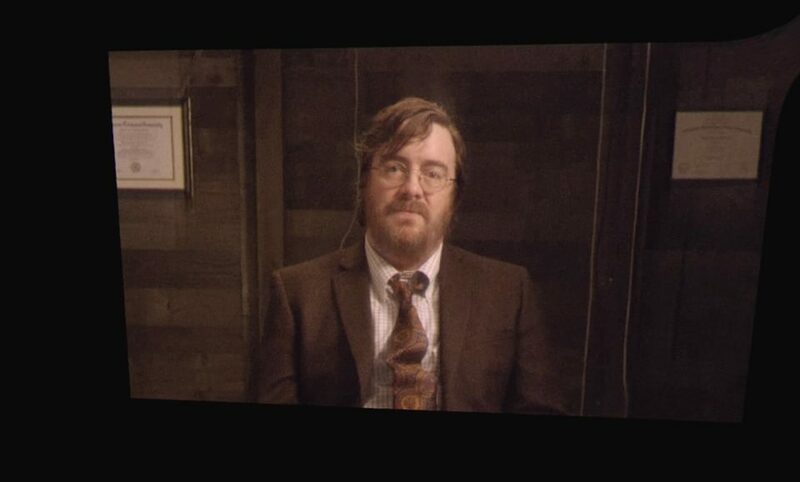 Transference strives to keep you unnerved from it’s opening moments. Dr. Hayes, the creator of trasference technology greets you in an opening video and explains vaguely what you are about to experience. 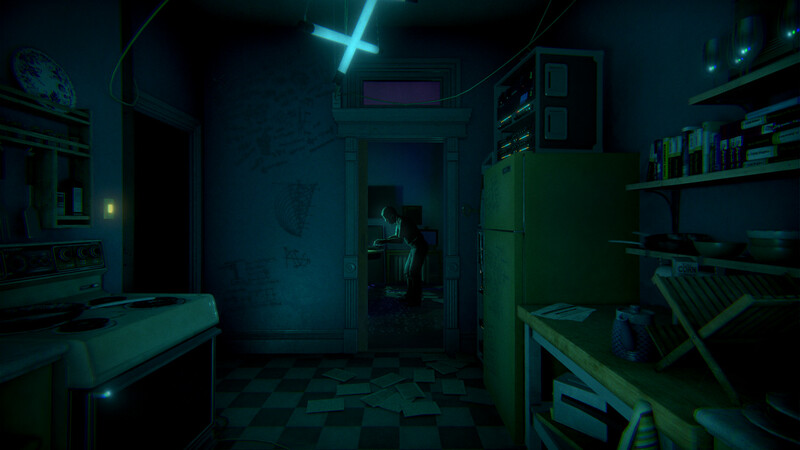 From here you play through the game, solving puzzles and activating memories, which either manifest before your eyes or are actual documented footage from the Haye’s earlier days as a family during the time he was creating transference. Either world is a digital recreation though one seems to be incomplete containing pixels and jaggies that suggest that this side may not be complete. No matter which area you are in, both look great with some very realistic flair, household objects litter the apartment, where a majority of the game takes place, but everything looks and feels very authentic. As you progress, digital apparitions will appear eschewing moments from the past and the further you progress, the more unsettling the visuals get. I don’t want to spoil too much so bottom line is this game looks great! Things start to get really weird, really quick. The acting as well is top notch, if not just a teeny bit over the top but that serves the narrative quite nicely. Ambient echoes from the past follow your every movement and whenever you do find the next video, you be paying close attention looking to consume every morsel of information the game throws your way. The sound design in Transference is amazing, with solid use of 3D audio that puts you right in the game. There are really only 2 knocks against Transference, the length of the game and the story. My 1st playthrough of the game took me just shy of 2 hours and while many may cry foul for the short amount of content, this is more then made up by the presentation. Transference is a next to flawless visual and audio experience and like I said when I looked The Exorcist VR series, the devs were clearly shooting for quality over quantity. 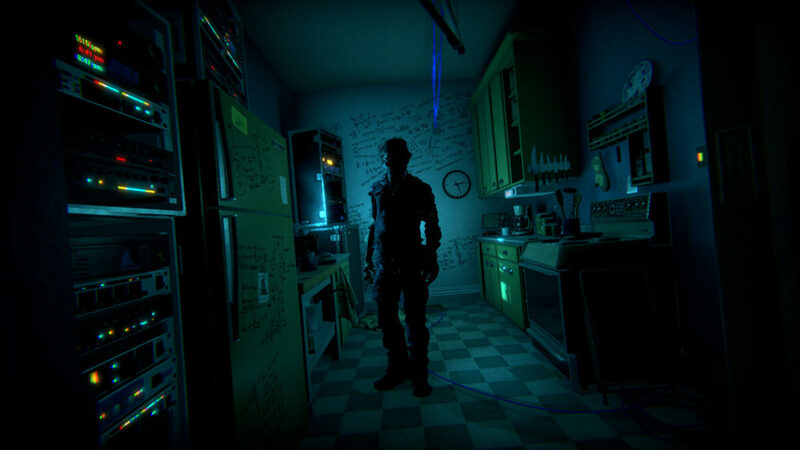 Every moment I spent in Transference had me on edge and while there are a couple jump scares, it’s that sense of unease that pervades you combined with the need to push forward knowing full well it’s only going to get worse. Transference is never horrific or takes the gore route but is a very cerebral tale told in a very intentional way which leads me to the 2nd issue. Maybe it’s just me, but I found the story difficult to follow. I picked up on most of the story, but I think I need to play through a 2nd time to fully grasp what I just experienced. Transference’s story is disjointed, with the discovery of info seemingly coming at random with you left to piece together past events. I’m not even meaning to harp on this, it is a style of story telling that we have seen many times before, just be aware that once you finish, you may be wondering what the heck you just witnessed. Th creep factor is always high! I can’t say too much more about Transference without giving anything critical away. The puzzles were very clever at times and play great in VR. The reality hopping was cool little trope and the presentation is amazing. I don’t think this is for everyone, and there is a dark message buried in the layers of story, but for those who are looking for a mind-bending puzzler, Transference is sure to deliver in that regard…provided you like to put your psyche to the test! What would I pay? I hemmed and hawed on this one, but decided that the given the top-quality presentation, this is worth the asking price. Both flaws I mentioned are both very intentional and more personal gripes then anything and I was enthralled from the beginning all the way to the crazy conclusion and even though I know the solutions, I want to dive back in to find the rest of the recordings scattered around and complete the story. 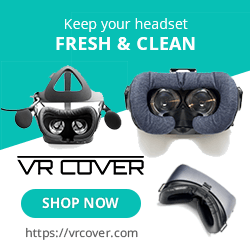 Ubisoft provided The VR Grid with a review code for this title and, regardless of this review, we thank them for that!